Since going vegan, a lot of people ask me what foods I miss the most. They always say, "don't you miss eating cheese? ", and my answer is always no, not at all! There's really nothing I miss about the way I used to eat and I enjoy converting non-vegan meals to vegan. I find it really fun to take something that I used to make on a regular basis, such as a tuna sandwich and convert it into a "Tempeh Tu"NO" sandwich. It's so easy, delicious and healthier for you--and you don't have to worry about any mercury lurking in these ingredients! Whisk all ingredients together in a bowl and chill until ready to use. Remove tempeh from the package, slice in half and steam for 15 minutes. Let cool for about 5 minutes and then grate on a box grater. Place in a large bowl in the refrigerator to chill while preparing other ingredients. Toast a small amount of nori (about 2") in a dry saute pan, crumble and using a spice grinder, grind into a powder. Use only 1/2 tsp for the recipe. Finely dice celery, pickles and onion and set aside. Remove tempeh from the fridge, add diced vegetables, nori and dill aioli and stir to combine. Check for seasonings and add salt and pepper if needed. 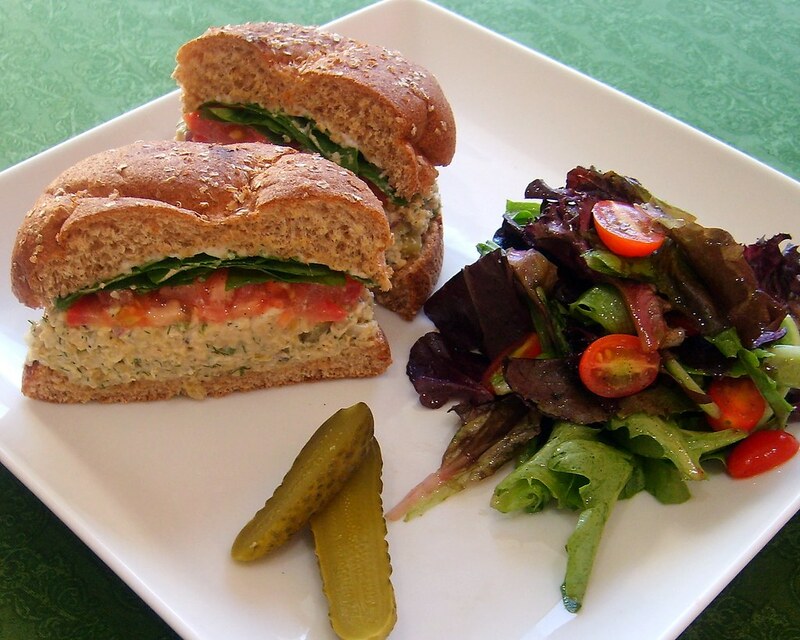 Serve on a toasted bun with extra Vegenaise, sliced tomatoes and watercress. I'm glad that you like--one of my favorite sandwiches too!